As you may recall I keep a number of charts and spreadsheets that I do not post here that I use for my own analysis. 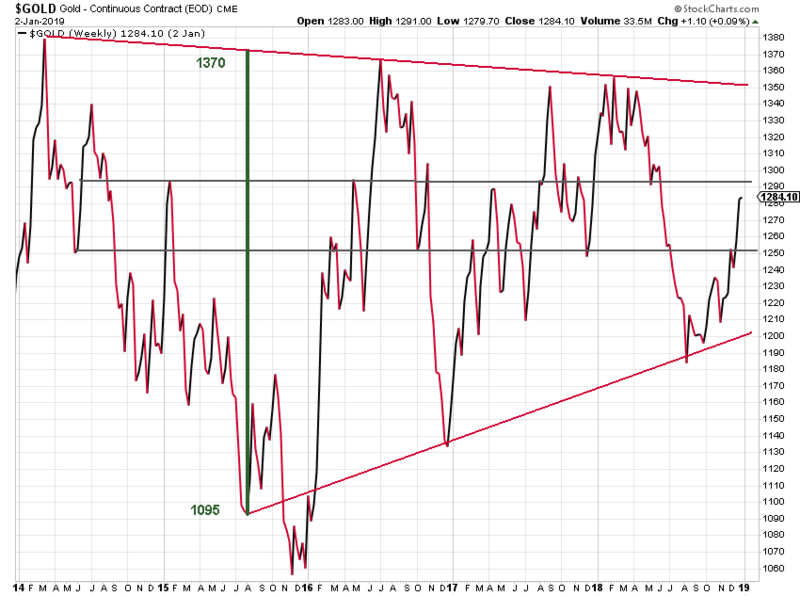 Here is a copy of the longer term gold chart, back to the very large cup and handle formation. As you can see it is a bit difficult to view, although you might be able to download it and see it more easily thereby. I also include a standard weekly chart of gold going back five years.